Leading figures from the European chemicals industry are to meet to debate its future at a major event being held at Saltend Chemicals Park. The BP-managed Saltend site, east of Hull, which this year is celebrating 100 years of industrial operations on the north bank of the Humber, is hosting the annual gathering of an organisation that promotes Europe as location for chemicals investment. Members of the European Chemical Site Promotion Platform (ECSPP) include chemicals clusters operators and leading businesses in the industry, as well as ports, because of the importance of seaborne logistics to the sector. Hosting the ECSPP reflects the growing profile within the industry of the Saltend site, which has seen £500m of investment in recent years, including the opening in 2013 of one of Europe’s largest bio-refineries – the £350m Vivergo Fuels bioethanol plant. ECSPP representatives will be at Saltend on September 24 and 25, with the highlight a symposium on the second morning. At that event industry leaders will debate the question “does the European chemicals industry have a future?” against a backdrop of major challenges, including competing chemicals imports into Europe from the United States, where inexpensive shale gas has driven down manufacturing costs. ECSPP President Patrick Pogue said: “Our membership represents many of the largest industrial process and chemical manufacturing locations across the EU. Despite the challenges faced within our industry, ongoing investment, as witnessed at Saltend in recent years, is mirrored across many of our member locations across Europe. Keynote speakers include Dr Moncef Hadhri, Chief Economist of CEFIC, the European Chemical Industry Council, who will examine the challenges and opportunities for investment into Europe, and Ramsay Dunning, General Manager of Co-operative Energy, who will focus on the impact of energy costs on the industry. Dr Chris Bowlas, strategy and transformation director of BP Chemicals, will set out his thoughts on the future for the Saltend site, while Andy Bulman, Operations Manager of Vivergo Fuels, will outline the factors behind Vivergo’s investment decision. 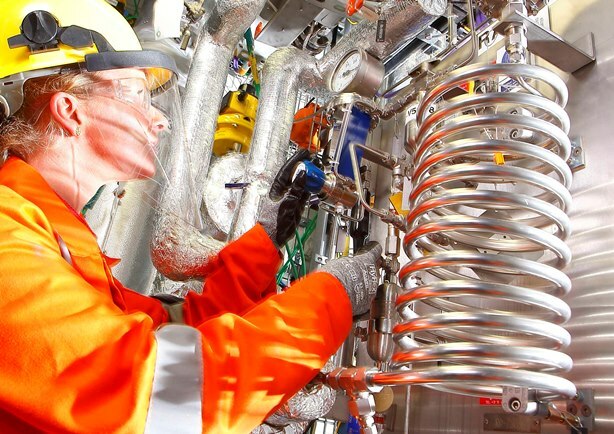 During the same session, Dr Mark Howard, Vice President of BP Chemicals’ Conversion Technology Centre, most of which is sited at Saltend, will highlight the importance of world-class research and innovation. Sravya Rao, Assistant Director, Chemicals, in the Department of Business, Innovation and Skills, and Humber Local Enterprise Partnership (LEP) Chief Executive Kishor Tailor will also explain how the Government, the LEP and other agencies are working to attract investment into the UK and the Humber, the UK’s “Energy Estuary”. Dr Bowlas said: “We are seeing the United States gain huge benefits from shale gas exploration, which puts Europe at a disadvantage. In addition, Europe has a series of additional taxes, levies and duties associated with carbon reduction. “This is being done on a unilateral basis, so we are not on a level playing field globally. Saltend Chemicals Park business development manager Dr Diana Taylor, who is an ECSPP committee member, said: “This is a great opportunity to bring the European chemicals community here and showcase the world-class manufacturing and research expertise we have on the site, as well as all the positive developments and investments we have seen in recent years. Humber LEP chief executive Kishor Tailor said: “This is a great opportunity to showcase to Europe the strengths of chemicals industry in the Humber. The event being hosted at Saltend Chemicals Park provides evidence of our capability and the contribution the sector makes to the local economy.